How much would a new radio cost for my Peugeot 208? I am looking to buy and have fitted an in-car DAB radio with Bluetooth for phone calls. I’ve tried the adapters that use FM but would like something built in. I have been looking at touchscreens but am not sure if they will fit in my dashboard. How much would I be looking at for my 2012 model Peugeot 208? Depending on your particular Peugeot 208 model, you may have a touchscreen interface or a ‘traditional’ car stereo. It appears that even if you have the factory Peugeot 208 touchscreen that the radio can be replaced. Aftermarket car stereos are available in single-DIN and double-DIN sizes. These relate to the size of the slot in the dashboard which accommodates the radio unit. The Peugeot 208 has a single-DIN slot in the dashboard. Unfortunately this rules out a touchscreen unit which are all double-DIN in size. There are many single-DIN radios with Bluetooth for hands-free calls and music streaming. These tend to start at around £100 from retailers like Halfords. In addition to Bluetooth you will need to decide whether you require a CD player. With the prevalence of Bluetooth and USB sticks for music storage some car radios no longer come with a CD player. These are known as ‘mechless’ given their lack of a mechanical CD drive. Interfaces vary between radios and some are easier to use than others. With the car radio fairly high on the dashboard compared to some cars you may wish to choose one which won’t be distracting when it’s dark outside. Most car stereos with support for Bluetooth calls will come with a microphone which tends to be installed near the rear view mirror. It is worth checking with the retailer that this comes in the box. Finally, you did not mention DAB digital radio, but it may be a worthwhile upgrade if you intend to have a new unit fitted. This will require a DAB aerial which can be stuck inside the window. Again, some DAB radios do not come with an aerial and you should check with the retailer. You could purchase a radio of your choice from a retailer like Halfords or Amazon for around £100. You may require a fascia (if you have a touchscreen) and a suitable wiring harness to convert from Peugeot’s wiring to the ISO standard. Although these are available online it’s worth enquiring with your local Peugeot dealer for a price. Some dealer parts can be expensive, but with some manufacturers you may be surprised. Their parts or service staff should be able to advise on your particular car. There are many independent audio installers who will be able to carry out this installation. You could ask for a quote based on providing the radio and leads, but some will have suitable units and parts in stock and could provide a complete price. Installation at Halfords starts at £30 and they would be able to advise on a full cost. You could also ask Peugeot how much they would charge to fit an aftermarket stereo. 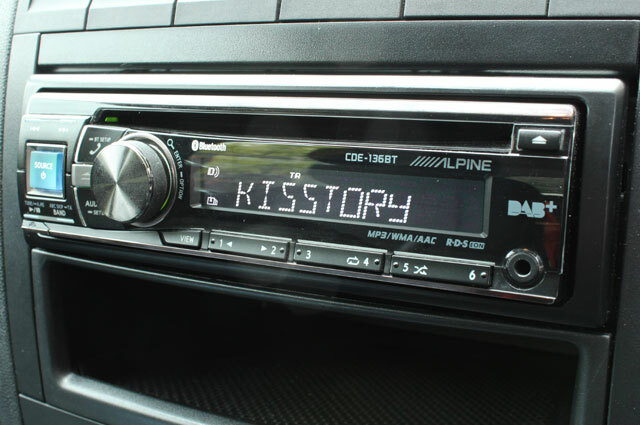 We are aware of a Skoda customer who recently had an aftermarket DAB and Bluetooth stereo fitted by their local official dealer for £120 in labour costs.